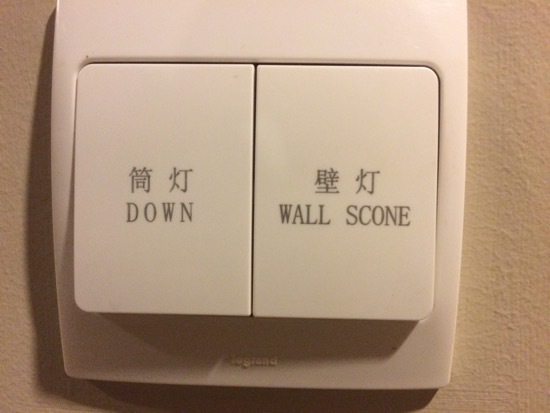 Either turn on the down, or the wall scone. You choose. Are wall scones yummy? Do they come in blueberry?